Millie Bennett, Millie’s Dexters, showed her own Pedigree Dexters and entered four young handler classes as well at The Royal Three Counties Show recently. She won three of them and had two champions and a reserve! She went on to win the Wise Perpetual trophy in the intermediate section of the National Dexter young handlers competition. She helped in the preparation of both bulls, Cannington Templar and Cannington Mason. With our British White cattle she prepared and exhibited our cow Toodles who won the cow class and then Champion, and then went on to be placed reserve interbreed in the Rare Breed show on the Sunday. 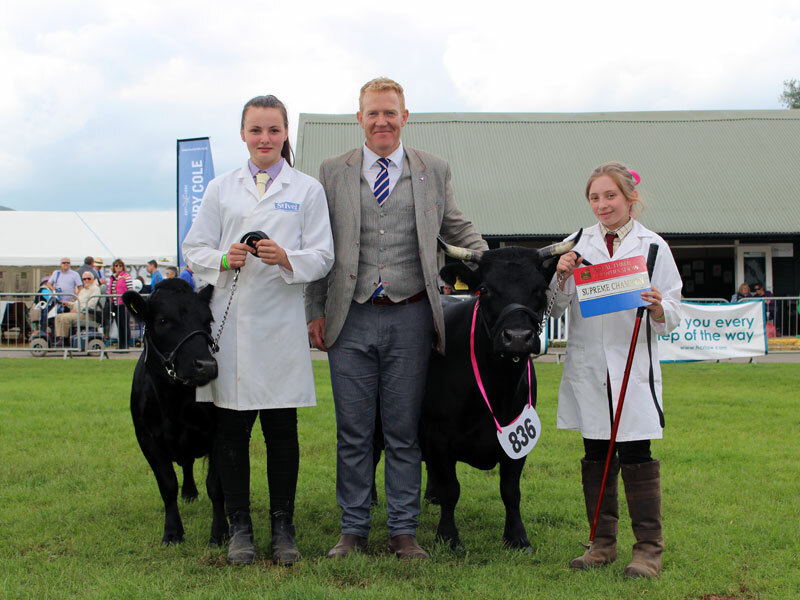 The photo shows Millie receiving the Supreme Champion Young Handler award from Adam Henson. I’m a very proud dad to say the least. The second Interbreed ‘National Young Show Stars 2016’ Competition was run in partnership with the Royal Three Counties Agricultural Society at the Three Counties Showground at Malvern Worcestershire and held on Wednesday 23rd and Thursday 24th March 2016. Please see the informative report below.